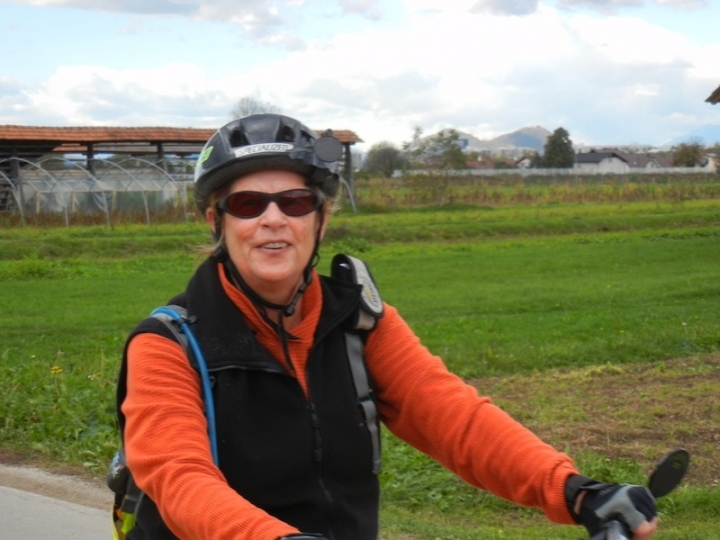 We enjoy biking throughout Europe and especially in Slovenia. View from one of our favorite routes past country farms and logging mills just east of Ljubljana. This is a nice 20 km ride to a comfortable gostilna next to a beautiful church below the eastern basin hills.